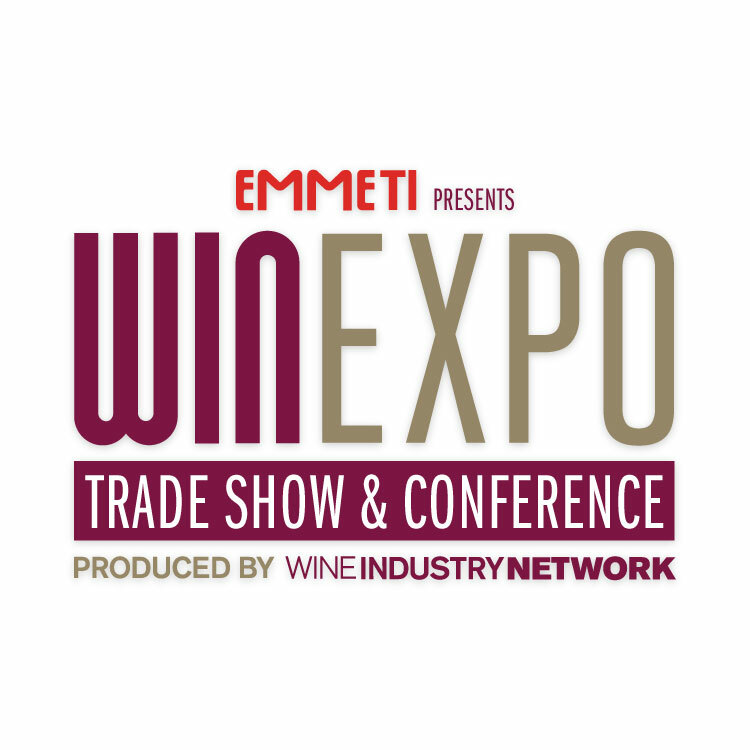 WIN Expo provides a variety of sponsorship and advertising programs designed to deliver additional exposure and reinforce your company leadership position in the minds of expo attendees as well as winery owners, winemakers, vineyard managers, tasting room and wine club managers and other industry professionals that subscribe to our newsletters and/or follow Wine Industry Network on our social channels. These opportunities are designed to improve your company’s visibility, reinforce existing relationships, drive more traffic to the booth and ultimately, create more inbound leads. 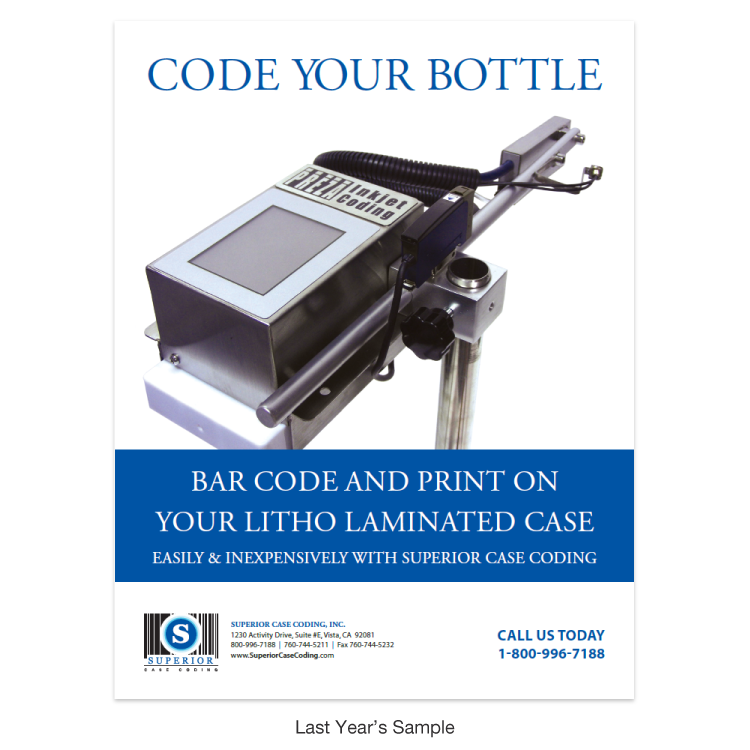 Your brand will be on display before, during and after the expo through our aggressive, and on-going, marketing campaigns. Scroll down to review the selection of awareness and branding opportunities to determine the best fit for your overall exhibition-marketing plan. 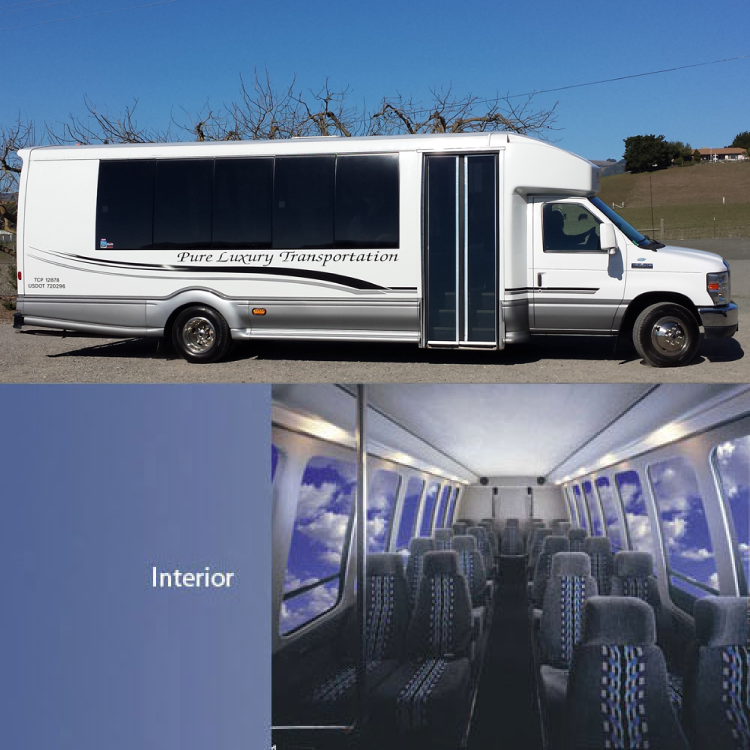 Note that all packages are customizable to meet your specific needs and budget. 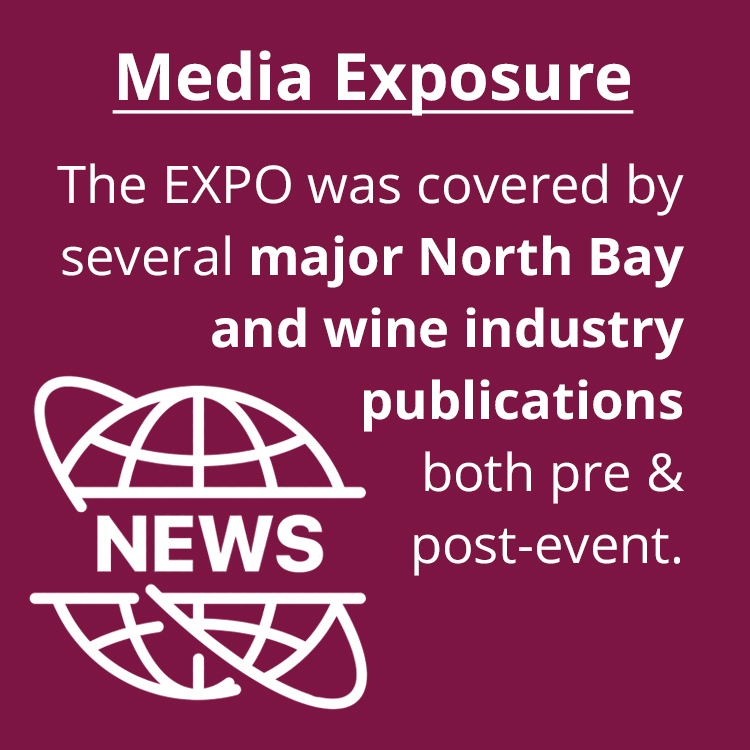 This Premier-level sponsorship receives universal marquee billing with WIN Expo in all conference promotional advertising, web and digital marketing over the span of six months, both pre & post-event. 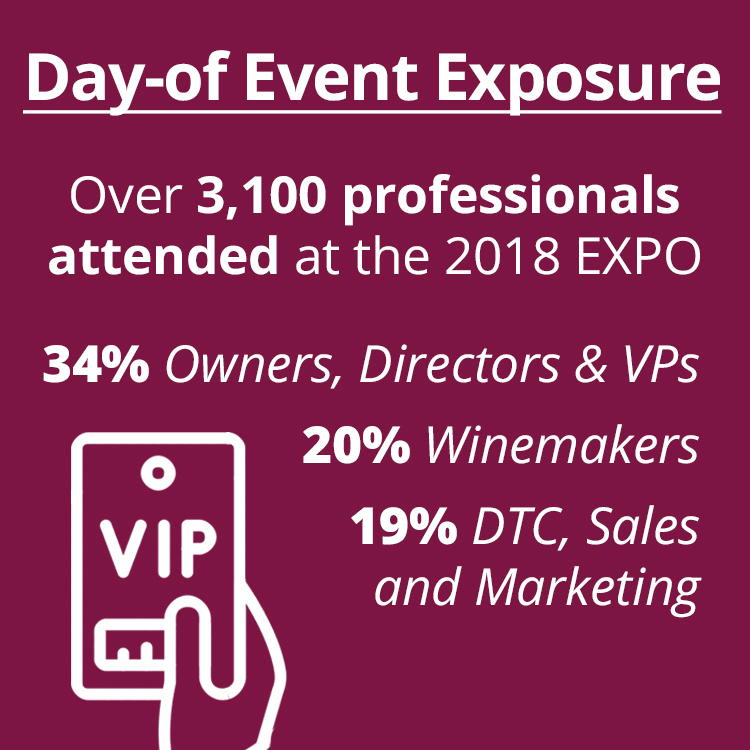 Looking to ensure that every single guest in attendance, along with every industry professional that receives our WIN Expo marketing, knows that your company is a leader in the wine industry? 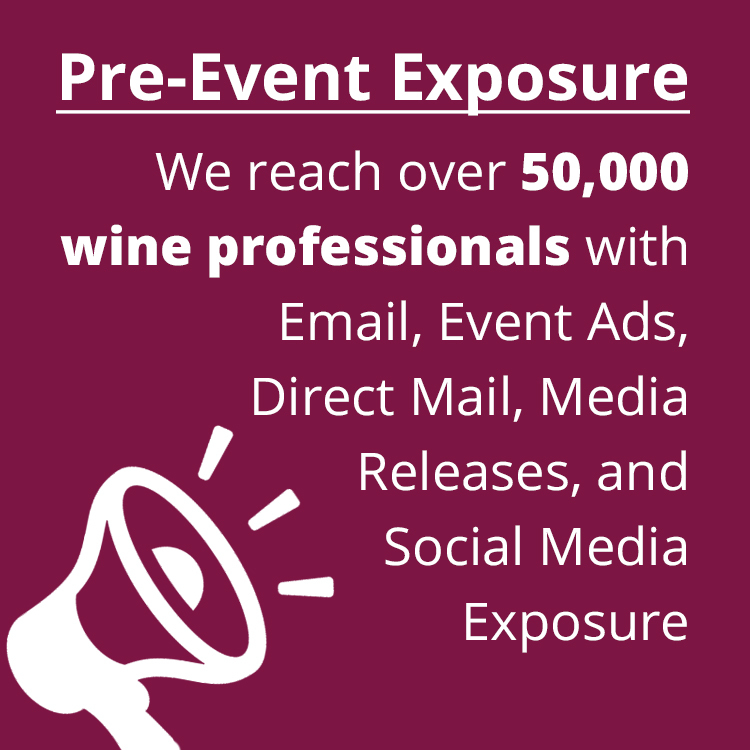 The Naming Package Sponsorship delivers that and also includes a variety of other benefits to make sure your brand is showcased prominently in front of the 2nd largest wine industry trade show audience in North America. 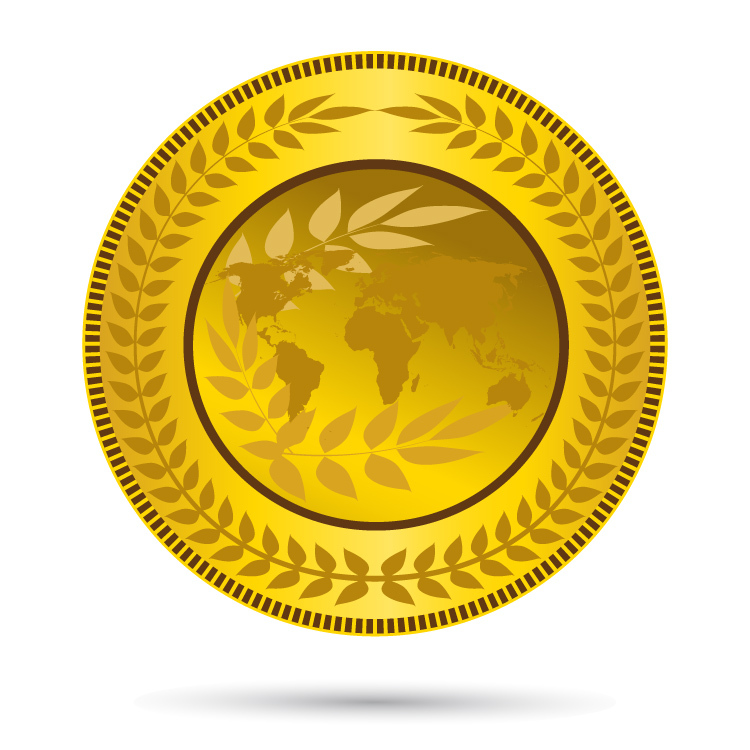 With our Silver, Gold and Platinum Sponsorships, your company can choose from a variety of excellent marketing benefits options such as branding, media placement and access to industry leaders. 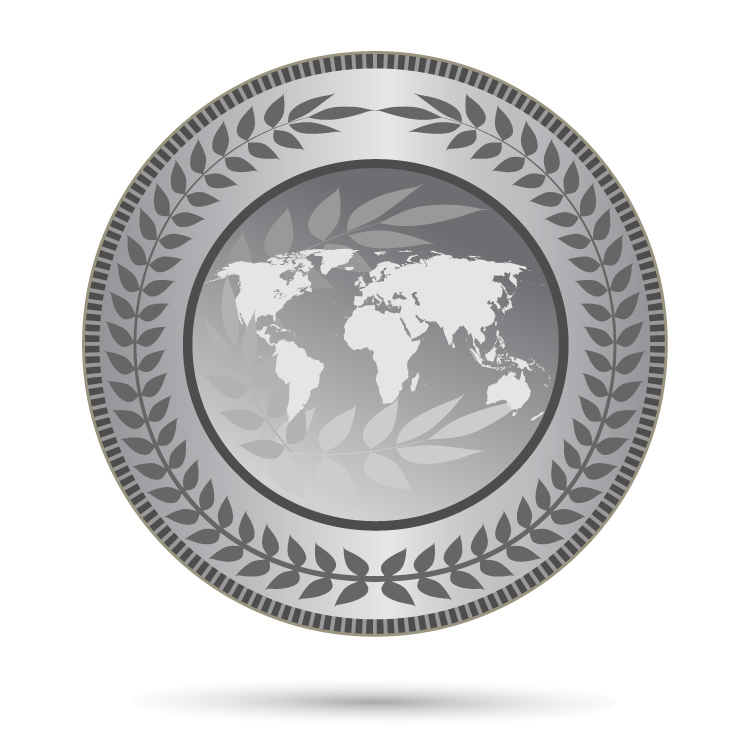 All benefits may be customized to suit your organization's specific needs and budget depending on the goals you're looking to achieve. 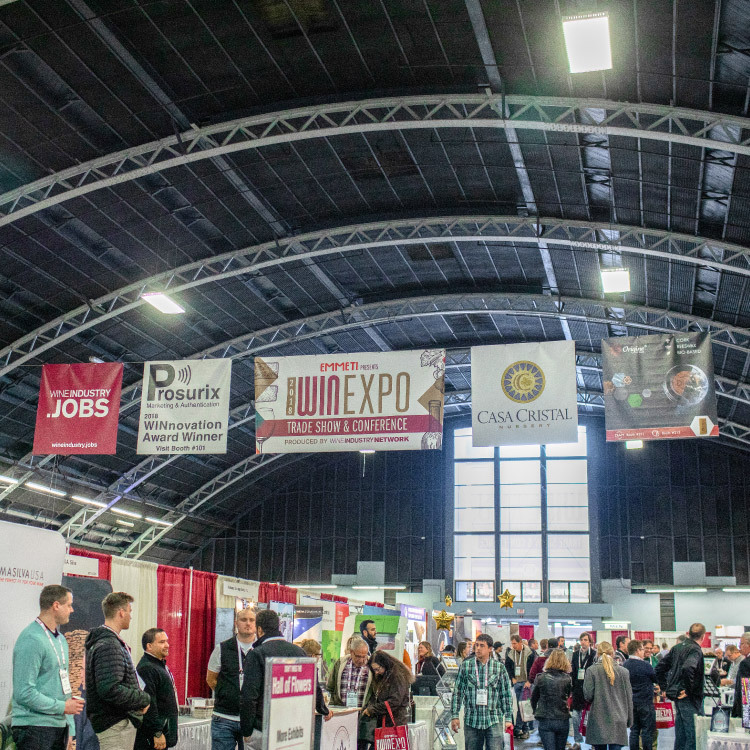 Every expo attendee is required to check into the event in the registration tent, which is what makes this sponsorship one of the best values for companies looking for guaranteed exposure of your branding and messaging! Ensure that every attendee is aware of your company by sponsoring the official WIN Expo Lanyard! 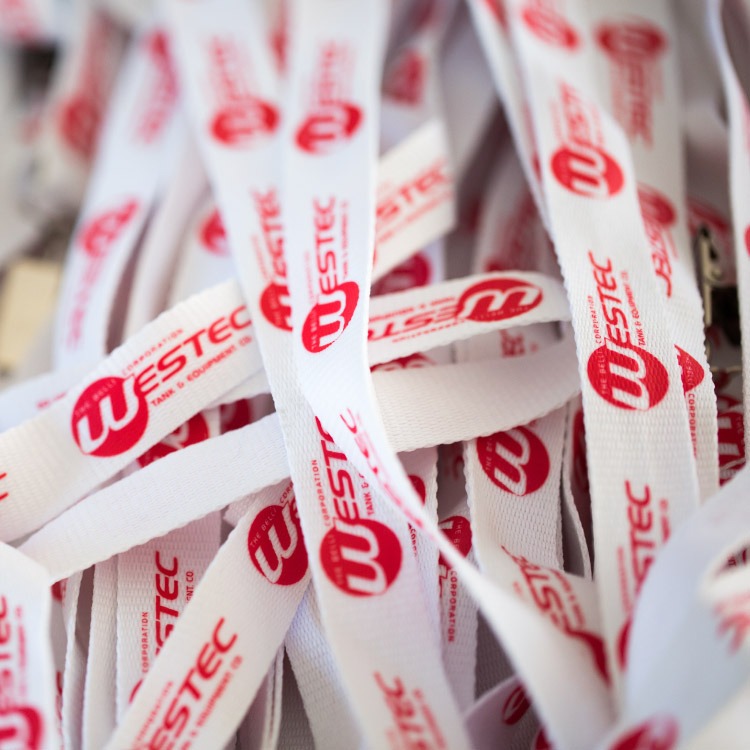 These high-quality lanyards are screen-printed with your logo and distributed to thousands of attendees, and exhibitors, upon check-in and will wear it throughout the duration of the event. 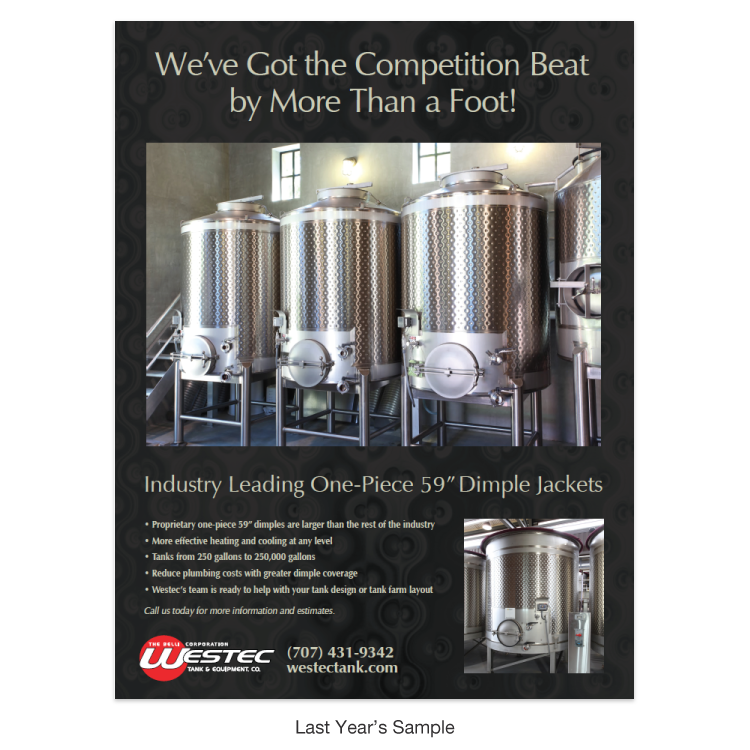 WESTEC Tank & Equipment, Co.
What a better way to create brand awareness! Have your company logo and web site prominently placed on the conference tote bags. Attendees will receive their tote bags at the conference registration area and will not only use it for their conference experience but also bring them back to their offices. This is an excellent sponsorship opportunity for entrenched or emerging companies who desire to keep their brand top-of-mind. 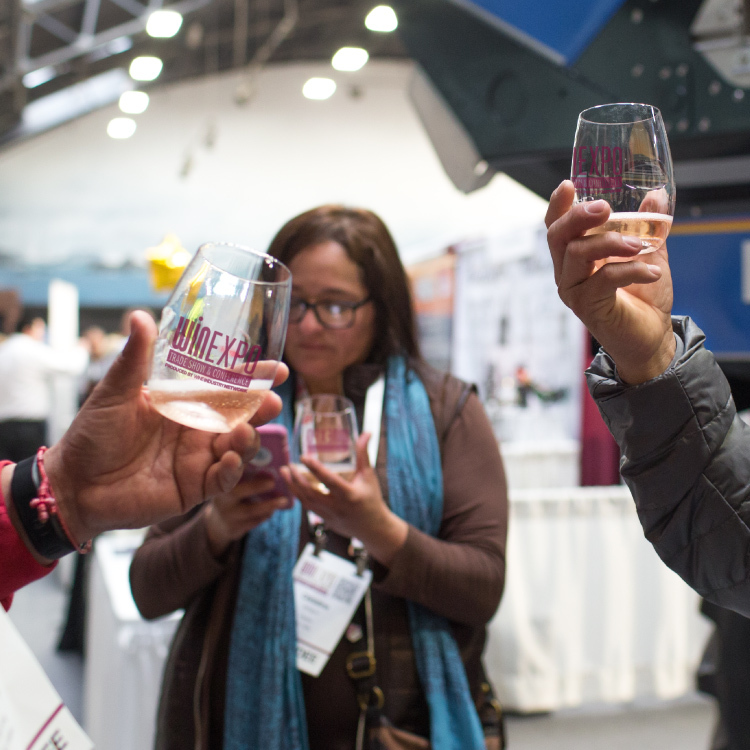 Your company logo will be featured on reusable, stackable, fully shatterproof, 100% recyclable glass that will be distributed to every attendee that stops by the wine tasting. Help fuel the Trade Show crowd with the most important meal of the day! 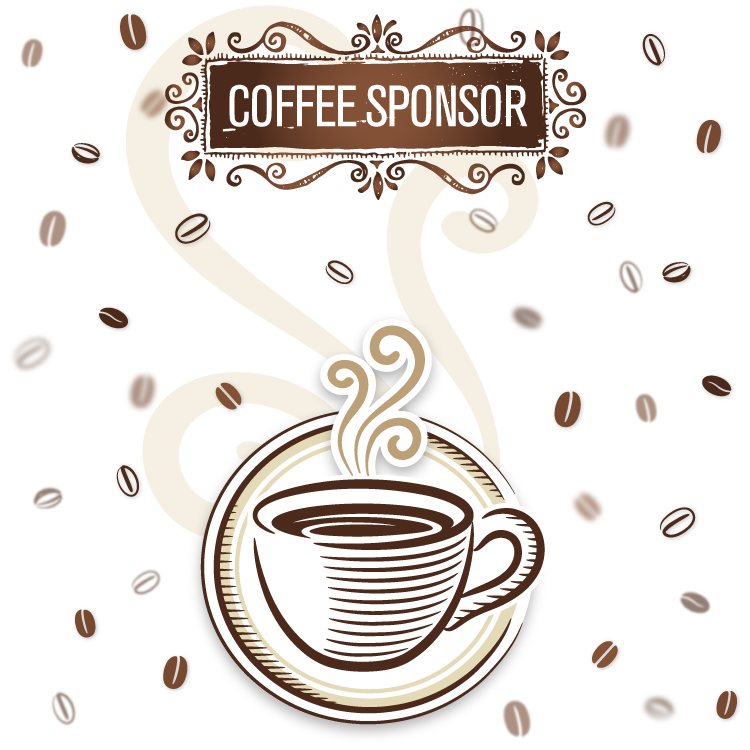 This sponsorship offers terrific visibility with signage at the coffee & pastry station and is guaranteed to generate recognition and appreciation from attendees. 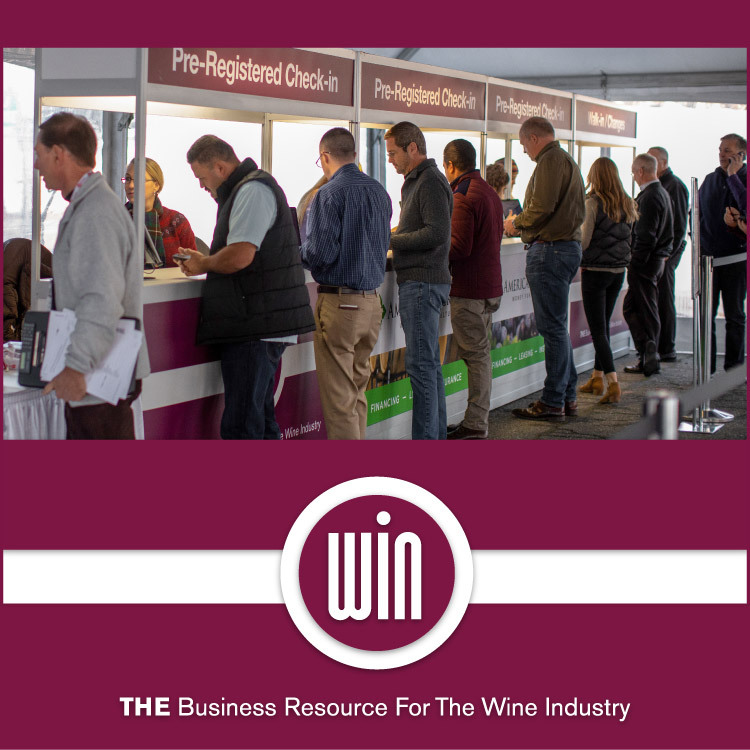 Be the first to welcome attendees to the WIN Expo by sponsoring the complimentary shuttles that run all day from the parking locations to the expo entrance. 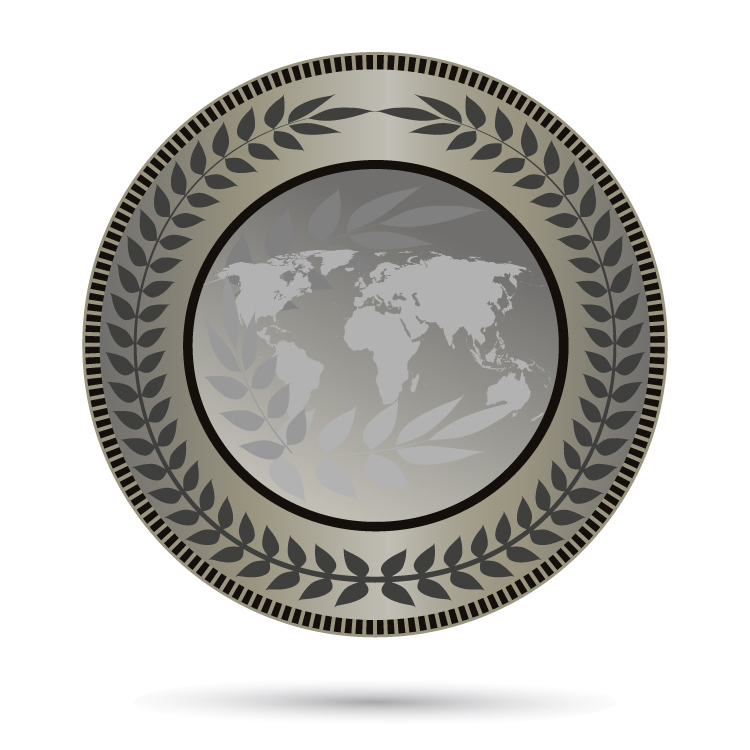 The sponsorship includes the opportunity to loop a promotional video about your organization with attendees. 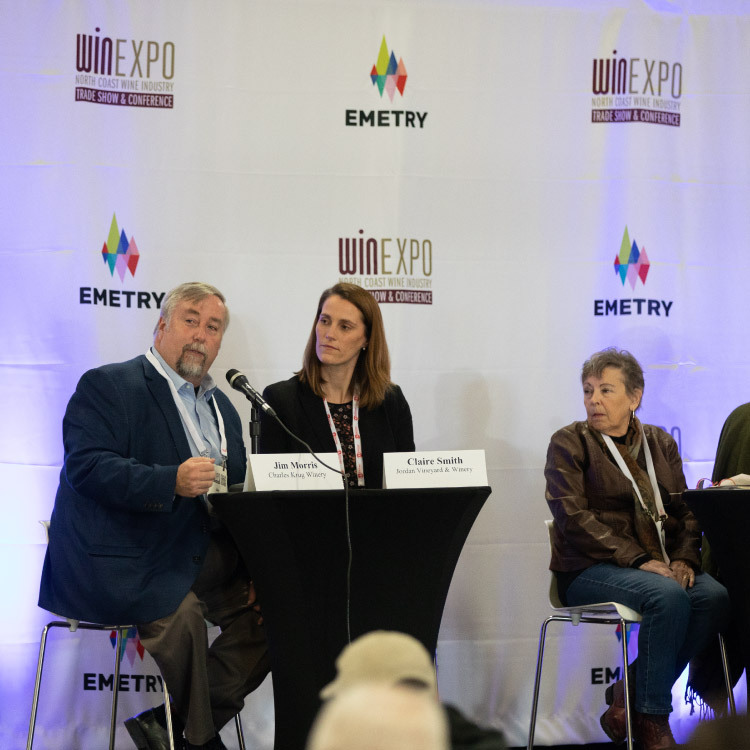 Please Note: Sponsor will need to provide 2 video-formatted DVDs with finalized footage, and all content is subject to approval by the WIN Expo producers - Wine Industry Network. 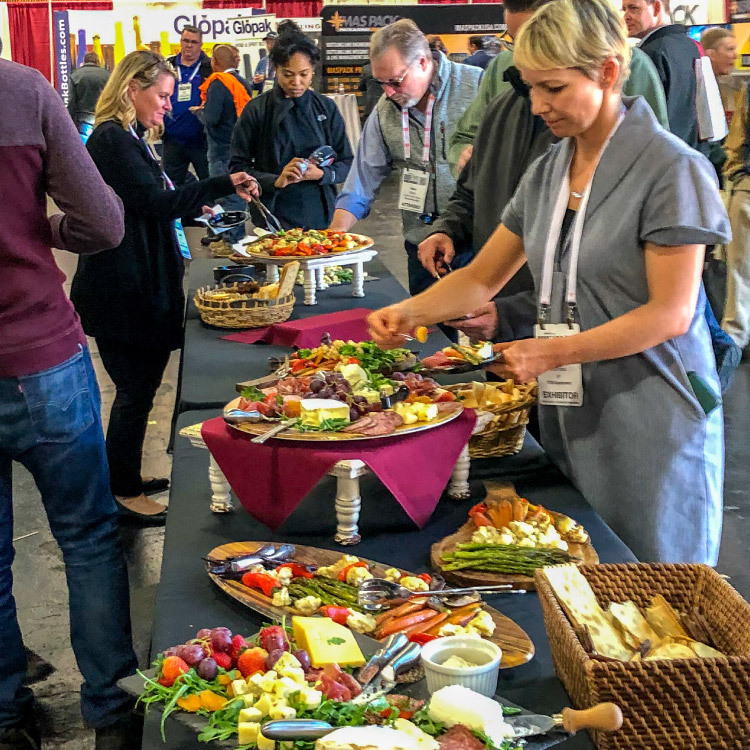 Afternoon networking Meet & Eat provides attendees and exhibitors with a convenient way to enjoy refreshments and snacks, all compliments of your company! The sky is usually the limit, but not for you and your marketing team! 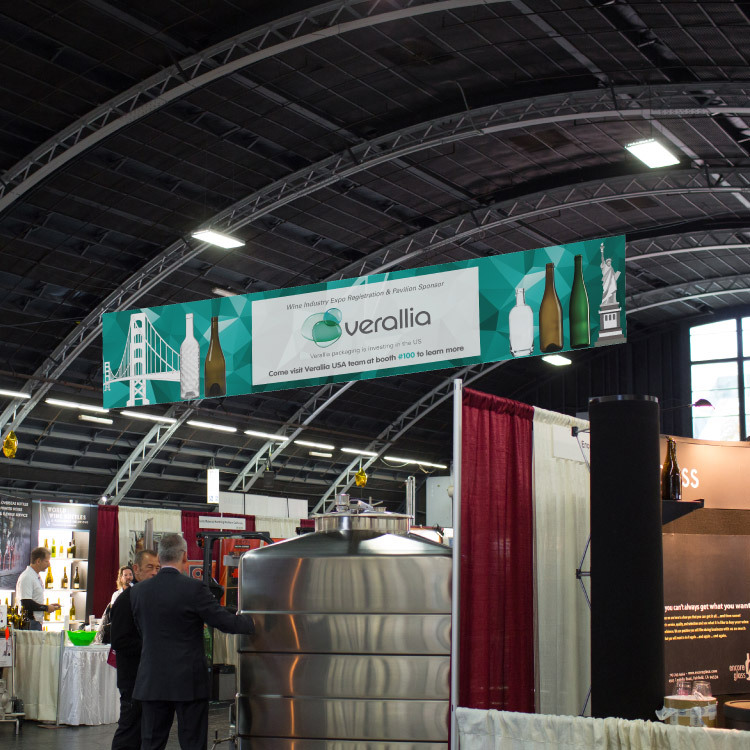 Set your company apart of the competition with this 6' x 6' hanging banner and bask in the Exposure of some of the most visible of all the branding options available at the show! 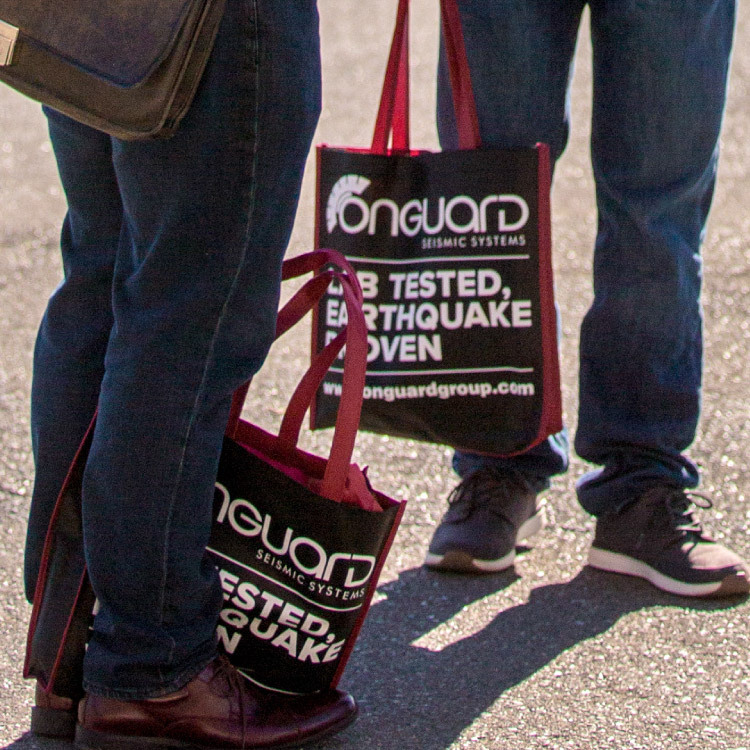 If you want to ensure that every attendee leaves with information on your company, then the tote bag insert is the ideal solution. 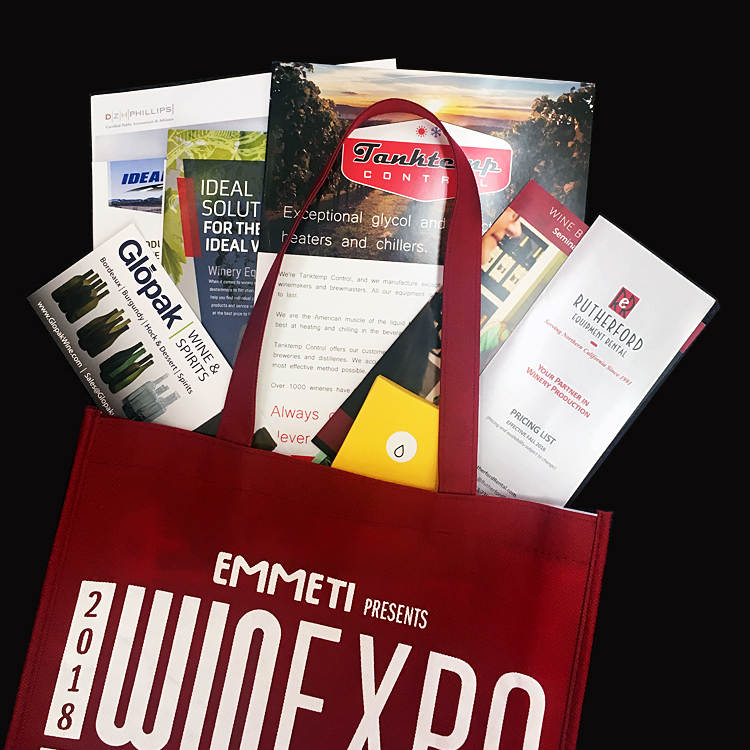 Your promotional piece will be included in the WIN Expo tote bags given out to every attendee at registration. 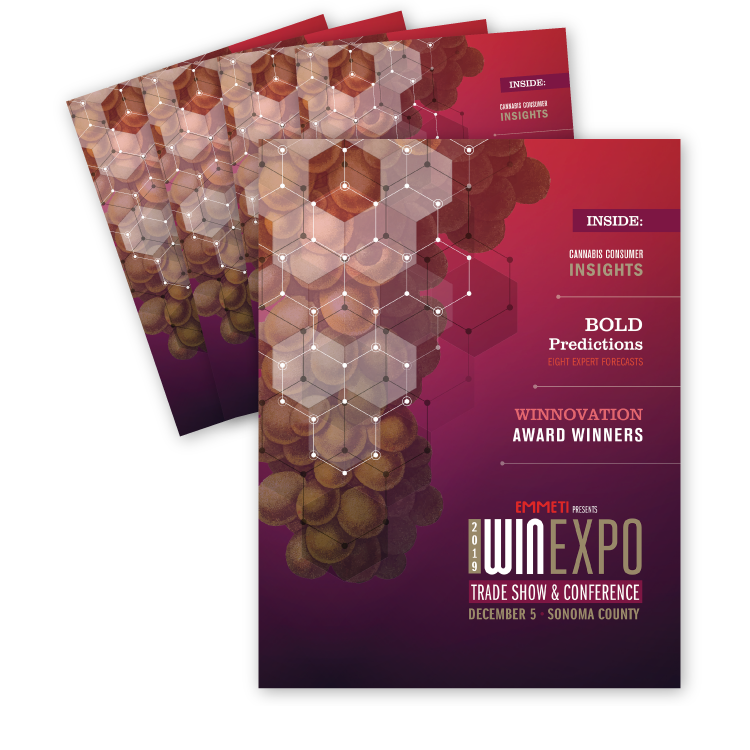 The Official WIN Expo Program Guide will include a full show schedule including conference and speaker news, editorial content, exhibitor listings, floor maps and more. 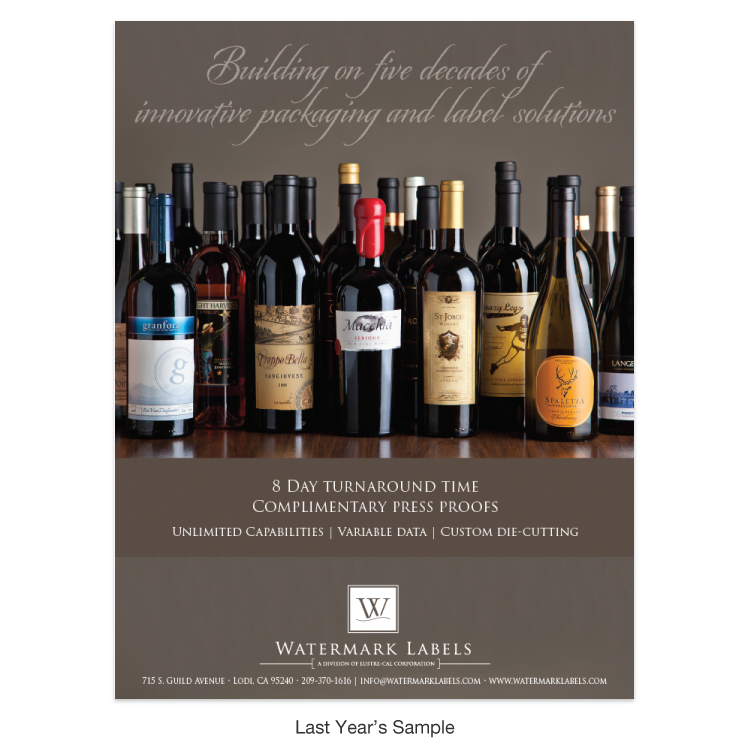 This full color guide is a great way to increase your brand visibility, showcase your company’s products & services and maximize the impact of your message within the wine industry business community.